Book Your next Party at Magic world's KIDABRA Party Room & theater. You will be amazed by Mr. Magic and his Birthday Party Spectacular Magic show. This party is 2 Hours of high energy fun fun fun!! Dove's, Rabbits, Special effects and Great Music are all Part of this truly Magical show. The greatest Part is your Birthday Child is the Star of the show. 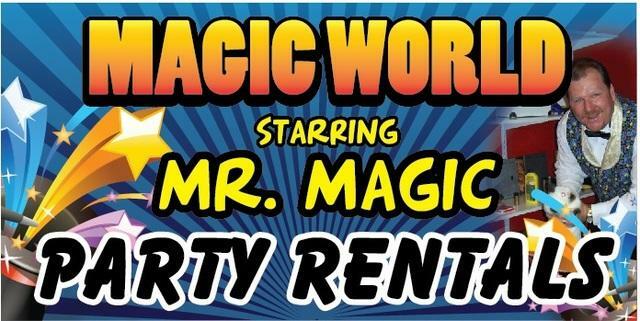 If your looking for a great party your child won't Forget, Call Mr. Magic at Magic World and book today. Guarenteed fun for the whole family.